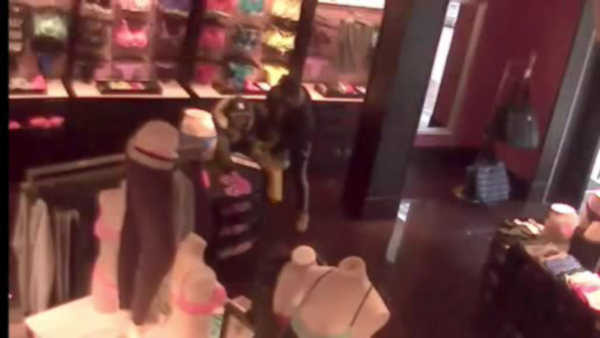 NEW SPRINGVILLE, Staten Island (WABC) -- Police on Staten Island are trying to identify two people who shoplifted from a Victoria's Secret in the Staten Island Mall not once, but twice. The thieves were caught on camera in the act both times. Police say on New Year's Day, a male suspect stole 80 pairs of underwear while a woman acted as a lookout. Two weeks later, the pair made off with 120 pairs of underwear from the same store. The total value of the underwear that was stolen is about $2,500 worth.